Global Washington supports the global development community in Washington state that is working to create a healthier and more equitable world. We promote our members, bring them together to spark new ideas and partnerships, and build a network of leaders improving lives around the world. Change the world for the better by strengthening Washington state’s vibrant global development community and increasing the impact of our members to improve lives around the globe. Global Washington promotes and supports its members, who are working to reduce poverty and disease, increase access to health care and education, protect the environment and strengthen economies and self-sufficiency in communities. With over 160 members, including some of the world’s most respected companies, NGOs, academic institutions and foundations, Global Washington draws the community together, raising the impact of Washington state as a powerful contributor to global development. Small and medium NGOs: Global Washington is here to promote and support you with networking and publicity opportunities, training and capacity building, and serving as a hub for resources and partnerships. Large NGOs: Global Washington is here to promote and support you with networking and publicity opportunities, training and capacity building, and serving as a hub for resources and partnerships. We help you recruit talent and elevate your profile while connecting you with peers to share experiences and collaborate. Businesses: Global Washington works with companies to create connections, partnerships and opportunities that strengthen their global engagement strategy. Businesses work with us to help educate and engage their employees in global development issues and giving, by creating events and sponsorship opportunities, as well as featuring corporate experts as speakers and presenters. By showcasing our statewide sector, we promote Washington state as a leader in international development, business and innovation. 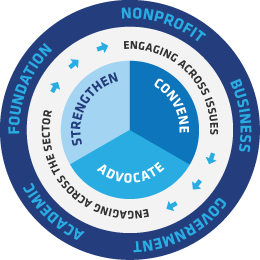 Foundations: Global Washington connects foundations and philanthropists with opportunities to support meaningful global development projects in more than 160 countries, share their deep expertise with smaller NGOs, and foster partnerships that improve lives around the world. Academic Institutions: Global Washington supports you by serving as a hub for resources and partnerships, and providing opportunities to publicize your work to groups outside of academia, including business and NGO audiences. We host events featuring academic leaders as speakers and presenters with the goal of showcasing Washington state colleges and universities as innovative leaders in the field.